Article: Cube reps, "We have decided to kick out Hyuna and E'Dawn... we've decided it's impossible to regain our trust in them"
2. [+3,969, -143] These two seem to have gotten into some trouble..
4. [+604, -19] Cube kicking Hyuna out is about on par with YG kicking GD out, no? 7. [+437, -16] Obviously they're not being kicked out for just dating. Hyuna got kicked out from WG before too. She needs to do better.. 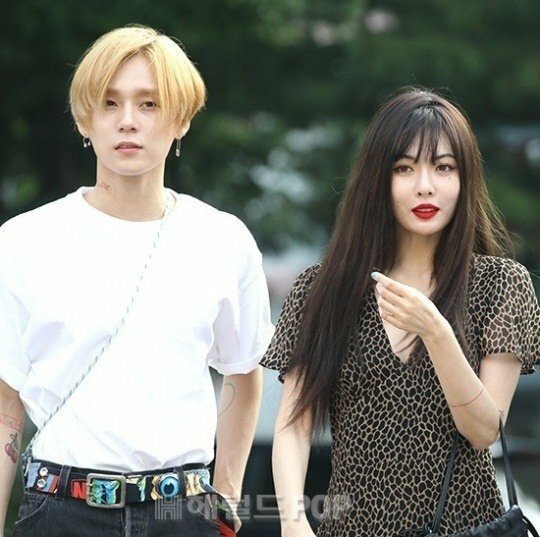 Article: [Exclusive] Cube "Hyuna and E'Dawn, we have not confirmed kicking them out yet... under more discussion"
1. [+1,802, -9] Their official statement said they were being kicked out and now they're not? is this a joke? 3. [+1,402, -11] What was this? A tactic to scare them? 1. [+497, -25] Their stocks dropped ㅋㅋㅋㅋㅋ Wow Cube's so pathetic. Hyuna-ya, just leave them. 2. [+404, -28] Imagine how much more Hyuna will act c*ckier now that she knows Cube tried to kick her out but had to retract their decision? Imagine how much she already doesn't listen if they were considering kicking her out in the first place. I feel like Cube needs to stick to their decision. 4. [+28, -1] What kind of company puts out an official statement before discussion has even ended? They specifically said they were being kicked out. 1. [+6,440, -615] Hyuna, just leave Cube. Hyuna has no issue, she can do better elsewhere. 7. [+458, -3] Pathetic with B2ST, pathetic again with Hyuna. I guess the people in Cube really can't get it together. Hopeless.